While it is extremely rewarding, parenting is a difficult and lifelong endeavor. When your child transforms into a teenager, parenting can become even more challenging as you work to love, lead, and shape your teen in preparation for their life as a successful, happy, independent adult. Demonstrate your love openly and unconditionally. Teens need quality attention from their parents, and always knowing they are loved will help them develop strong mental and emotional health as they mature. Focus on the Family suggests viewing your teen’s hormonal changes and emotional growth in terms of seasons, and encourages unconditional love no matter the season of change your teen is experiencing. Loving your teen consistently despite what they are going through or how they are behaving will show them they are valued and loved. It will also give them a strong foundation for learning how to love others unconditionally as well. Encourage positive self-expression without pressure. Teens are faced with many pressures in their lives, ranging from school to social. At home, you should focus on encouraging your teen to express themselves and enjoy doing the things that make them happy and build them up academically, physically, or emotionally. While it can be tempting to compare your teen to yourself at their age, try to avoid making comparisons that will make them feel pressured to assume an identity that does not align with the unique person they already are and will be in the future. However, if your teen is expressing an interest in harmful expressions, that is when you should be a firm leader. Communicate risks or dangers and also enforce your family values, beliefs, and rules. Teach online identity and social media safety. Never share personal information online. Do not share or give others your passwords. Never meet in person with people you only know online. Do not use texting or social media to gossip, shame, or bully others. Never text or chat while driving a car. Sharing openly about the dangers that exist online will help you create safe boundaries for your teen’s online interactions. Let your teen know that they can always come to you, and should, if any online or text interaction or conversation has made them feel uncomfortable or threatened in any way. Create rules and limitations, and enforce them with consistency. As your teen grows and discovers more about the thriving adult they want to be, they’ll need to know their boundaries to stay safe. Parents should work together to create rules, explain limitations, and always enforce them consistently. 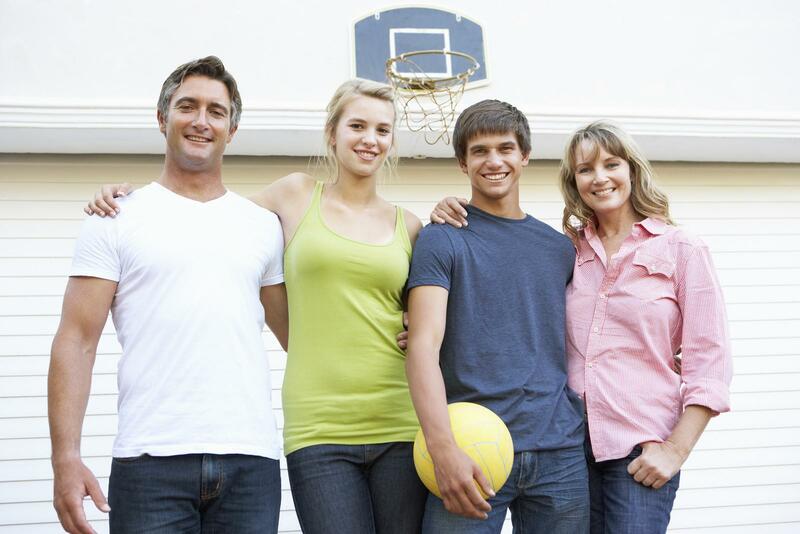 Be a positive leader and role model your teen can reference to shape themselves. Teens are constantly looking for traits and accomplishments that they admire in others to help shape themselves. As a parent, you have the opportunity to demonstrate how you want your teen to flourish by living a life that they can use as a reference for successful adulthood. Parenting teenagers can be a difficult job. If you are struggling to connect with your teen or suspect they might be struggling emotionally or mentally, then talking with a professional teen counselor can be very beneficial for both you and your teen.